With patients on so many medications, the likelihood of medication error is higher, requiring more supervision of patients in order to catch the error at the first symptom of an interaction or the administration of an incorrect dosage. In 41% of incidents involving errors in the administering of medication, there was either a delayed response to the symptoms of drug interaction or overdose, or the staff failed to take any action at all. In a study conducted in North Carolina, it was discovered that out of over 15,000 errors reported from almost 300 different nursing homes, 37% of the errors were repeated consistently. When a patient is admitted to a hospital due to a drug interaction or administering of an incorrect dosage, it is referred to as an adverse drug event, or ADE. The average cost of an ADE when the patient is admitted is between $1,900 and $2,600. The additional cost that hospitals endure over the course of a year can be as high as $4 billion. 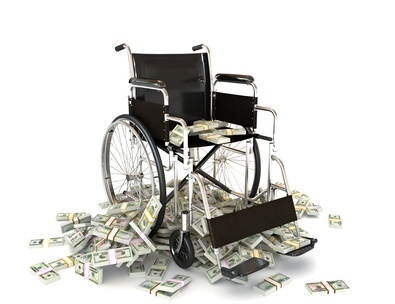 Nursing facilities across the country endure annual costs of $7.6 billion due to ADE’ s and ambulatory costs average $76.6 billion. For patients and facilities alike, the cost of an ADE is great and the event is highly preventable if staff takes greater care to prescribe the right medication, administer the correct dosage and monitor patients more closely for adverse effects of the medication that they are taking. In most cases, early detection of an ADE will alert caregivers of possible errors and allow those errors to be corrected before the patient suffers serious complications that require emergency care. Due to the numerous medications that many elderly patients find themselves on, medication errors in nursing homes cannot be prevented in their entirety. However, at least one out of four of the errors that do occur are preventable. Physicians must be more diligent about checking for possible drug interactions, nurses must pay more attention to dosing information, staff must be trained to recognize the effects of adverse drug events and patients need to be monitored much more closely. The number of errors that have occurred as a result of the lack of monitoring is much too high and by simply making an effort to observe patients more closely, many of the ADEs that occur can be prevented or addressed before the complications associated with them require emergency care. For laws related to North Carolina nursing homes, look here.